We get a lot of emails from readers who are under the impression that warranties and recalls will take care of just about any problem they may encounter, no matter how old or worn out their vehicle may be. Case in point: "I bought a 2005 Buick Rendezvous at a car auction. I want to know if there are any recalls or ignition problems I should know about because it overheated on me and I needed a head gasket," someone named Debra asked today. While a 2005 car is not all that old, any car that's purchased at auction is likely to be trouble. It's like picking up a stray dog off the street. It may turn out to be just fine but it's not wise to count on it. On the other hand, there are certain problems that owners insist are candidates for a recall, even when the vehicles in question are a little long in the tooth. Take the brake lines on certain GM trucks. Truck owners say the brake lines are too quick to corrode, potentially causing the brakes to fail unexpectedly. GM says it's up to truck owners to maintain their vehicles. "Brake line wear on vehicles is a maintenance issue that affects the auto industry, not just General Motors," GM spokesman Alan Adler said. "The trucks in question are long out of factory warranty and owners' manuals urge customers to have their brake lines inspected. In fact, more than 20 states require brake line inspections at one- or two-year intervals or when stopped for a violation." The National Highway Traffic Safety Administration (NHTSA) has been investigating reports of corrosion-related brake failure in 1999 through 2003 Silverado pickup trucks. NHTSA has received 890 consumer complaints about the problem, 761 of them from cold-weather states that use salt to clear ice from roadways. Truck owners like Joe Palumbo, who drives a 2004 Chevrolet Avalanche, are adamant in their insistence that GM should invest a few dollars more per truck to use stainless steel brake lines, which would in most cases last for the life of the truck. I wanted to let you know that I have received an update from our Technical Assistance team; I requested additional information to know if this is a known concern to GM. The information I received clearly explains it is not; however, there are pre-formed replacement brake lines that can be installed on your vehicle that meet higher quality standards than the originals. After a thorough review of the information and conversations with the dealer and Executive panel, we would be unable to provide any financial assistance towards the repairs. This is due to the age of the vehicle, lack of dealership service records, and being outside of all factory warranties. We appreciate the opportunity to review this matter and hope you understand our position as it relates to the manufacturer’s obligation. I was NOT looking for any financial assistance (see how GM thinks?). I wrote to Mrs. Barra to implore her support to have GM acknowledge and address a major safety issue with metal brake lines corroding/rusting to the point of a sudden and unexpected dangerous brake failure with the potential for serous and/or lethal injuries. This is not about financial assistance for me - GM can keep their money. Specifically, I would have liked the opportunity to ask Mrs. Barra and GM to recall all vehicles over 4 years old for a brake line inspection and replacement as needed, at no expense to GM customers. Furthermore I would ask GM to extend the warranty on all their vehicles, now out of warranty, for 10 years or 100,000 miles against brake line failure due to rust through. For those GM owners who had their brake lines replaced, they should be reimbursed, Finally I would hope Mrs. Barra, recognizing the severity of brake line failure, would include metal brakes lines in their new vehicle rust through warranty. You asked that I understand GM's position as it relates to the "manufacturer’s obligation." Where is GM's obligation to produce safe vehicles for its millions of customers? GM continues to prove it is impotent in this regard because GM refuses to acknowledge the deadly seriousness of a metal brake line suddenly bursting gushing brake fluid all over the road. "Lack of dealership service records". Really? In today's computer age? All brake line replacements made on my 2004 Avalanche were performed at the same GM dealership - SUN GMC Buick in Moosic Pa. If GM can't find their own records, it suggests GM is eliminating all footprints relating to this issue in the event the NHTSA, Congress and/or other legal bodies subpoena's GM's records. Not to worry, I have all the paper copies. A. The preformed replacement brake lines “meet higher quality standards”?? That statement suggests the existing brake lines were of lesser quality. B. Mrs. Barra, CEO, acknowledged the brake line corrosion problem exists but she chose to ignore it. Your spokesman Alan Alder said "brake lines rusting out in as soon as six years is a normal wear and tear issue." I supplied the link supporting this in my original email to Mrs. Barra but apparently no one chose to read it. It is included again here. 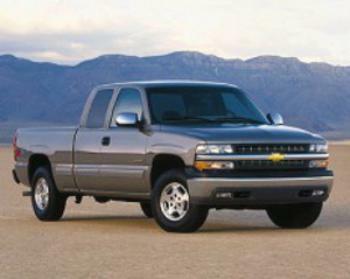 C. The NHTSA has already opened an investigation of corroding GM brake lines on 1999 to 2003 GM trucks. GM is unaware of this investigation? That link was supplied also in my email to Mrs. Barra. It is here. D. Numerous consumer organizations and media outlets have reported the rusting brake line problem and how GM refuses to acknowledge this as a safety issue. Clearly, GM doesn't want this major safety issue to see the light of day (like the ignition switch problem). But for GM to say this is not a known concern is simply ludicrous. Just take a look at what was found on the NHTSA database in this link - > http://nlpc.org/stories/2014/07/02/nhtsa-lists-1895-complaints-gm-brake-lines-gm-denies-problem. 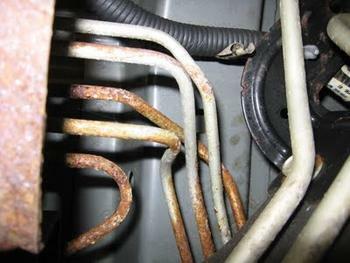 E. Below are just a few of the recent stories that have been published indicating the safety ramifications of corroding/rusting GM brake lines and they are quite well known - but apparently not to GM engineers. BTW Drew, how come my exhaust system on my 10 year old Avalanche is still all original but the most important safety system in my vehicle is not? My exhaust system is exposed to the same environmental conditions as my brake lines. Well it's because your engineers and designers used stainless steel for the exhaust system and cheap steel for the brake lines. I have pursued this safety issue since 2009 and I will continue to pursue this serious safety issue through all legal, media, legislative and consumer organizations available to me. At last word, Palumbo was once again waiting for a response.